With the current mainstay of Parkinson’s treatment being more than 50 years old and doing nothing to slow or halt the progressive disease, the community is crying out for new drugs. But as a high-profile BBC documentary on a ground-breaking clinical trial showed, promise can be dashed at the last minute, resulting in huge frustration and disappointment. As part of our Patient Voice series, Natasha Ratcliffe, Research Involvement Manager at Parkinson’s UK, tells us how collaboration is key to designing the robust, relevant studies needed to move forward. When the BBC showed a two-part documentary on a pioneering Parkinson’s trial, it highlighted what the industry is already painfully aware of – that the drug development pathway is rarely straightforward. Despite some participants reporting lifechanging results with the protein glial-cell derived neurotrophic factor (GDNF), which was delivered deep into the brain via a port on the side of the head, the study did not meet its primary end point. Natasha said: “A lot of promising trials go on to fail and it’s frustrating for everyone. The GDNF trial is a good example of that. For those who reported dramatic results, it completely changed their daily life. “We are keen to learn from these trials and that means working together. We need to engage with people with Parkinson’s to make sure if there is a future trial of GDNF, that it has the best chance of success,” she said. It’s not the only promising treatment to have failed in Parkinson’s, a degenerative neurological condition caused by a lack of dopamine production in the brain. “There have been a number of large-scale trials that have failed at the final hurdle and we have seen pharmaceutical companies pull out of Parkinson’s research to direct their funds into other areas that are perceived to be more profitable or have a lower risk,” said Natasha. Parkinson’s UK is stepping into that breach with a project that acts like a biotechnology company. For the last couple of years, Virtual Biotech has been funding a portfolio of promising drug discovery and early clinical development projects in their early stages in a bid to attract the support of companies that can afford to carry out larger trials. But finding the right drugs isn’t the end of the story, as the community does not currently have everything it needs to build a robust evidence base. Natasha said: “Parkinson’s is a very complex and varied condition. Different people experience different symptoms and it’s difficult to predict how it will progress. That’s a challenge for clinical trials. The Critical Path for Parkinson’s Consortium (CPP), launched in 2015, is a collaborative effort to address some of these issues. This international collaboration brings together pharmaceutical companies, regulatory agencies, universities and charities to improve the way trials are run. “Part of that is building a database that can be used to better understand Parkinson’s and develop tools for better clinical trials,” said Natasha. One of the project’s biggest achievements to date has been the introduction of an imaging system that can identify dopamine-producing cells in the brain. “It can identify people who are unlikely to have Parkinson’s. The consortium got it approved, and it’s now something that can be used to identify the best people to go into the trial,” said Natasha. Patient involvement is at the heart of all the work the organisation is doing to further the cause of people affected by Parkinson’s. “They are the experts of living with the condition and know what it is like day to day. They know what an improvement is, so understanding what is meaningful to them is vital,” said Natasha. 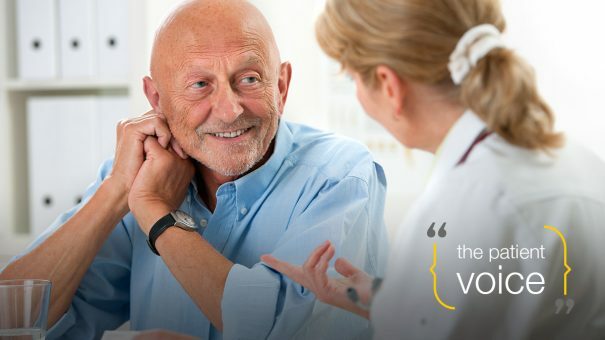 Patient centricity is currently something of a buzz word, but industry needs to move from listening to patients to working with them, Parkinson’s UK believes. Natasha said: “From pharma’s perspective, patient involvement needs to be strategically embedded in R&D programmes. Rather than asking for their opinion at the end of the process, companies should be aiming for patient involvement when they are designing the trial. One company that understands this is UCB, she added, explaining that the company was working with Parkinson’s UK and the Parkinson’s Foundation in the USA to improve patient-focused outcome measures. “We are trying to make sure that we are measuring the right things. Working with six patient advisors, the project is working to see what is out there, where the gaps are and how they can be improved. While it’s very easy to make assumptions about what will be meaningful for patients, no one can truly know without involving them in the work, Natasha added. “Sometimes people do not see the value of working with patients. They think it is just common sense, but until you sit down and ask them, you don’t know what you don’t know,” she said. Kate Trenam, UCB’s patient advocacy lead for UK and Ireland, said this kind of work was vital to the company’s mission of transforming the lives of people living with severe disease. “We believe it is essential we involve the patient throughout the medicine development lifecycle,” she said. It is only by working together that the medical community can offer fresh hope to the estimated one in every 350 people living with Parkinson’s disease in the UK, said Natasha. “All the different stakeholders have different perspectives, but all have the same goal: to find a treatment or cure for Parkinson’s.